Hello TVMC Alumini: I am looking to get in touch with Dr. Ananthi of 1975-1981 batch. If any of her classmates or other alumni members have her contact info, pl. e-mail to balaelango@rogers.com. She was our neighbor in Thiagarajanagar. I need to see 3ed year MMBS students photo for personal resons. (Regarding my Marriage) sorry i dont want to tell her name. We present you the reviews of books that has been send to us for evaluation. Publishers and authors can send the book by post and get it reviewed by our team. The book will reviewed by our team (or one of the member concerned with that speciality) and the review posted at this page. This is a FREE service and there is no charge for the review or for the post. Our aim is to make the books that are released known to the student community. While preparing for PG Entrance, we had a difficulty of not knowing the latest GOOD books as most of the books will be available only in cities like Delhi and Chennai. All we had in ourbook stores was Salgunan and Bhatia. 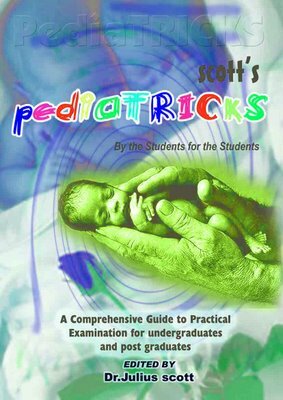 Medical Books and books that can be used for Exam preparation (like books on time management etc) are more appropriate in this site. You can yourself post a detailed message yourself at our discussion boards. However, we can give a review in a more pleasing format in color and can even include the image of cover or few pages of the book, if needed. Please note that since our team members are practitioners, it will take from 7 to 10 working days after receipt of the book for the book to be reviewed. Please post a message in the comment below and include your E-Mail to know the exact address to which the books are to be send. If you are a TvMC Alumni, please inform us about your Achievements in Academic field and Professional Field. Click here to post a message and Inform us about the books you have written. I am Meena,1990-1996 batch,currently living with my husband and three kids in CA,USA. I finished my medicine internship at Stanford University Medical Center and now I am a senior resident in Internal Medicine at Stanford University. Expecting to gradaute in June 07.Continue to keepup the great work. I am in search of my close friend Dr.Thamarai Selvan MD (Gen Medicine).TVMC 1983-89 BATCH (MBBS).He is working some where in tamil nadu.May be in govt service.If any one knows his where about kindly inform me on my mobile : 09447160020.
i am dr kandasamy -83 batch.now i am back to TVMC as Medical Gastroenterologist. 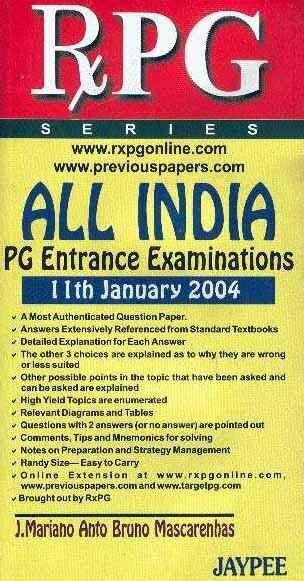 It is my great pleasure to announce our first batch meet (1993-1999) on the 10th and 11th of January 2009 at TVMC and Coutrallam. great day out on Saturday -MAY 9th. proper cricket pitch waiting for us). single person and £60 for a family . a proper holiday too for your family. in the world with more than 10 species . Legoland , guliivers land, go karting circuit -for kids. I tried to log in te photos link, but couldn't.I belong to 1985-91 batch,currently working in UK. Love to see college photos.. Thanks for your efforts to bring all TMVCians under one umbrella in the cyberspace. Your participation in this questionnaire will be treated with the utmost confidentiality. Similarly, results from the study will be treated in the strictest confidence. On completion of the questionnaire you will automatically be entered into a one off draw to win a year’s subscription to the student British Medical Journal for 1 year. Many thanks in anticipation of your cooperation. 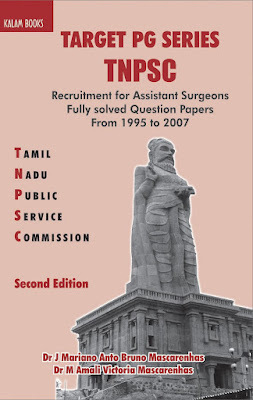 In the Year 1965, the Government of Tamilnadu decided to start the Tirunelveli Medical College and the University of Madras agreed to the proposal and 75 students were admitted for the I MBBS course for the academic year 1965-66 and they had their Ist year of study in the local Arts and Science Colleges. 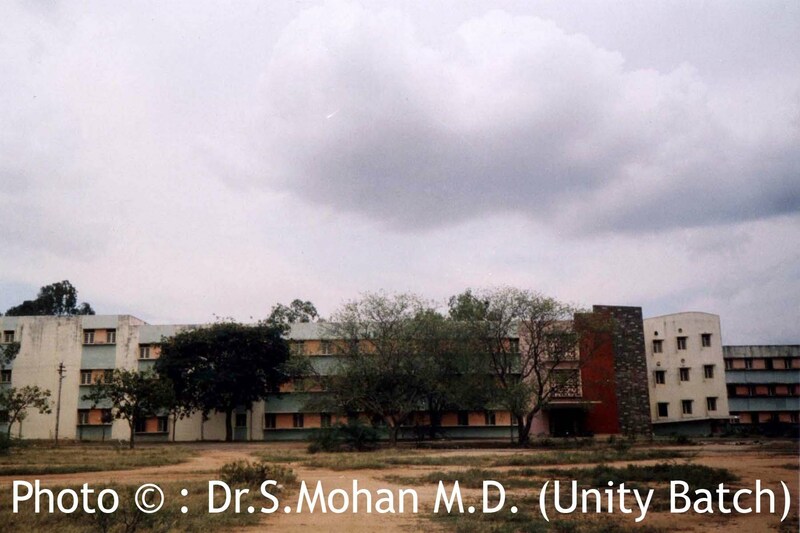 In July 1966 the 1st batch II MBBS students started attending the classes in the newly constructed Anatomy Block. 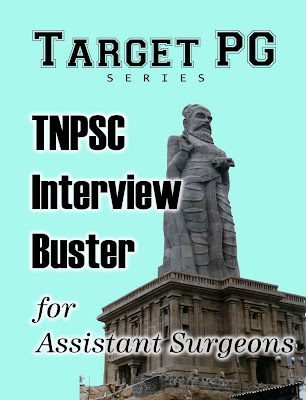 Other departments like Pharmacology, Pathology, Microbiology and Social and Preventive Medicine started functioning in the subsequent years and the District Head Quarters Hospital was converted to Tirunelveli Medical College Hospital. 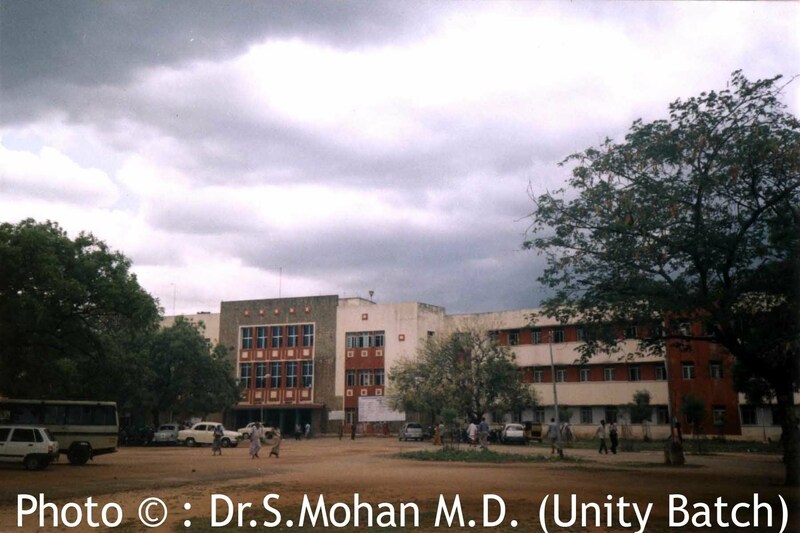 This College was affiliated to the Madurai Kamaraj University consequent to its inception in the year 1967 till the newly formed, The Tamil Nadu Dr.M.G.R Medical University in 1988. 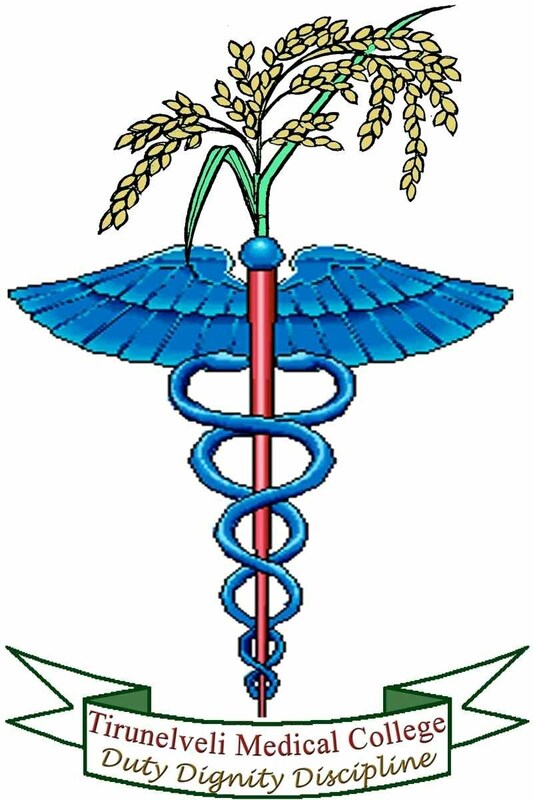 The College has been recognised by the Medical Council of India, New Delhi in the year 1978. The numbers of seats for the MBBS course has been increased from 75 to 100 since 1980 and in the same year Government has accorded sanction for the starting of Post Graduate Courses. Hostel facilities are provided both for men and women students within the campus. The college had celebrated its Silver Jubliee in the year 1990. The college is present over a sprawling campus and has lecture halls, library, reading rooms, auditorium and seperate hostels (2 each) for men and women. There is a Central animal house with common laboratory animals for conduction of research programmes in the various departments.. Perhaps The only thing lacking is a Compound Wall !!! The hospital is the referral hospital (tertiary care centre) for other institution in southern Tamil Nadu. The Tirunelveli Medical College hospital has a bed strength of 1078 with almost all special departments with necessary facilities like the Colour Doppler, Ultra Sound Scan, CT Scan and Dialysis Unit and with recent inclusion of 800 MA & IIT (Image Intensifier TV). Three Primary Health Centres at Pathamadai, Thenthiruperai and Thisayanvillai are attached to this College under Rural Oriented Medical Education (ROME) Programme. Since 1980 for the exposure of the Medical Students and internees to the rural atmosphere in turns, Specialists from various departments accompany the students to train them and treat the patients in the rural areas. The Professor of Social and Preventive Medicine is incharge of the programme. Mobile ophthalmic unit attached to the Department of ophthalmology renders free service to people in semiurban and rural areas by organising eye camps in Tirunelveli and Tuticorin District. The Government FRIEDA MONNIER HOSPITAL (FMH) in Kalakad Panchayat Union, which was established and managed by the representatives of a Belgian Organisation, is attached to Tirunelveli Medical College which is suitable to be utilised as a Rural Social Service Centre for the Studies of this College.